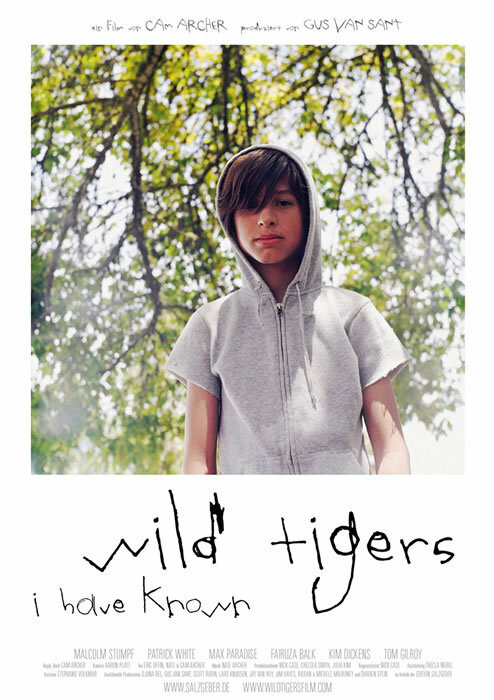 "Wild Tigers I Have Known," Cam Archer's visually striking but somewhat self-indulgent debut, is an abstract and meandering portrayal of teen angst and burgeoning sexuality. Its youthful protagonist, Logan (Malcolm Stumpf), seems perpetually caught between a daydream and and the harsh, uncaring real world. Sounds kind of like Guillermo Del Toro's "Pan's Labyrinth." Except that movie actually had substance. Oh well. This movie at least looks pretty, and art-chic-happy film students might find more to love in the film than I did. Does Rodeo feel likewise? Maybe so ("girls make me want to go to sleep," he tells his youthful admirer), but whatever the case, Rodeo isn't telling. 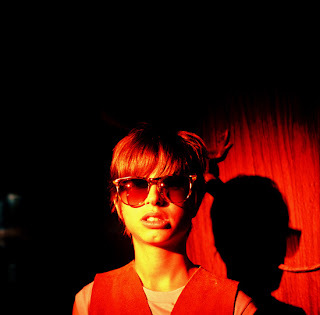 Seeking Rodeo's affection, Logan creates a female persona named 'Leah.' 'Leah' calls Rodeo up promising a wild night, but Logan's naivete is apparent. I "get" Logan's inability to connect to, or even maybe occupy the same universe as, his junior high classmates. I go to a school of hundreds of students, and 99% of the time I feel like I'm off on my own planet. But although Logan is intriguing, the film collapses under its own pretension, with scenes that have no clear dramatic purpose and dialogues that are laughable in their bloated sense of self-importance. And isn't Logan's mother's response to the fallen groceries a little... psychotic? Nobody who's still on the sanity wagon would react that way. 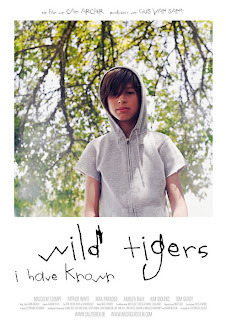 "Wild Tigers..." sports beautiful cinematography and a couple of well-known actors (Fairuza Balk as the mom, Kim Dickens as the school counselor,) but in the end, it hardly matters. Seeming long at 88 minutes, "Tigers..." ultimately seems like a bit of a chore, never a good impression for a film to make. Logan entices us but the film keeps us at an arm's length. Wow, completely forgot that this film had been on my 'to watch' list since about 2009. So odd to see that A) someone has seen it and B) there is actually a review! It's a shame that you say it has the pretentious quality to it. That, I really, really, can't dig in films. I should still track this one down, as the look of it, as you mentioned, is beautiful.